Starting to drive is one of the most exciting experiences for teenagers, but it can also be one of the most dangerous. According to the CDC, teenagers are the most likely age group to get into a traffic accident. Teens are more likely to speed and less likely to wear seatbelts than older drivers. 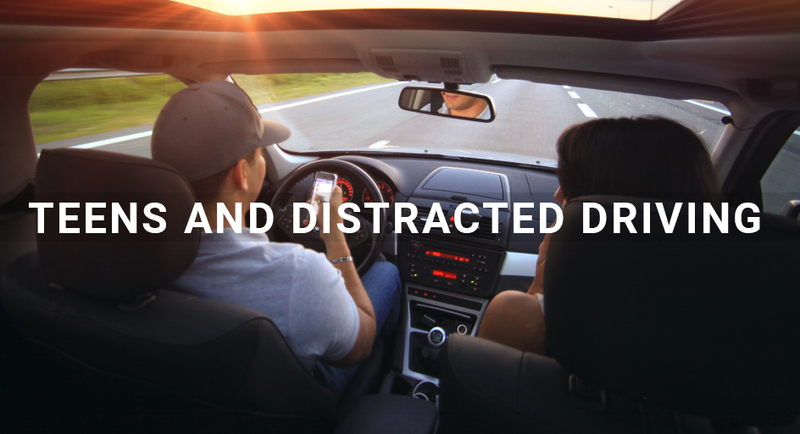 They are also much more likely to become distracted while driving, resulting in a much higher potential for injury-causing or even fatal accidents. What are the most common distractions facing teen drivers, and what can be done? Perhaps the most obvious cause of teen distracted driving is the use of cell phones while on the road. Cell phone use while driving is illegal in some states, but many people–especially teenagers–still engage in it. Both talking on the phone and texting are dangerous for the teen driver, and many teens will even open and use social media apps while driving. Distracted driving causes 15% of all injury-causing accidents, so as the most susceptible to distracted driving, teens should be made highly aware of the potential consequences of their actions. Talking on the phone can cause mental distraction and manual distraction, and even hands-free conversation methods can cause distraction. Texting while driving is much more dangerous, as it causes mental, manual, and visual distraction. Taking your mind off the road is never good, but focusing your mind, hands, and eyes elsewhere is an incredibly dangerous combination. When you are distracted in these ways, reactions to potential dangers are much slower or may be completely missed. Cell phones are a serious distraction for teen drivers, but they are not the only source. Anything that takes your hands off of the wheel and mind or eyes off of the road can cause an accident. This includes activities such as eating, changing the music, applying makeup, and interacting with passengers. This last is perhaps the most dangerous of all. Studies have found that teenagers’ chances of a crash increase significantly with each additional passenger in the vehicle. This is especially true if the fellow passengers are teen peers. It is important for parents to share the dangers of distracted driving with their teenage children, but it is even more important for adults to model responsible driving behavior. Teens will not heed warnings against phone usage or other risky activities if they regularly see their parents engaging in these behaviors. There are also some mobile apps that will prevent cell phone usage while a car is in motion or when manually enabled before driving. These apps can be a good way to help teens become accustomed to leaving their phone alone while driving, so that in the future they can practice self control on their own. Educating teens about distracted driving and helping them find ways to combat these dangers can greatly help reduce teenage traffic accidents. However, we cannot control everyone on the road, and even the safest drivers can experience a collision. Make sure you and your family is covered in the event of a car accident with the right auto insurance.